With over twenty years servicing the pharmaceutical sector Phase 3 specialise in producing Clinical Trials Materials and prides itself in rising to the challenge of meeting your deadlines and operational requirements from initial estimate to successful delivery. Our aim is to go beyond the service of a traditional print group by providing a full range of printing solutions including investigator packs, calendars, pens, protocols and posters combined with a first class service. We understand the operational requirements to ensure that your recruitment and retention materials are delivered in top condition to study sites across the globe without delay. 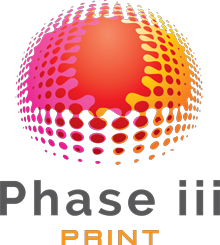 Using either digital or litho presses to best suit each of your printing needs our team will print, finish, collate and despatch to your exact specifications.